More interesting nature stuff from our morning walk. 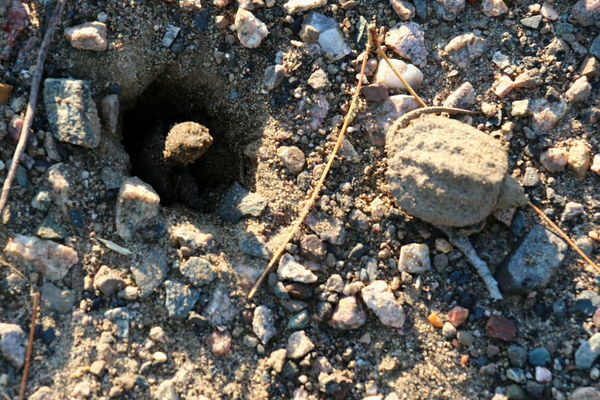 You are seeing the first emergence from the buried nest into the daylight. 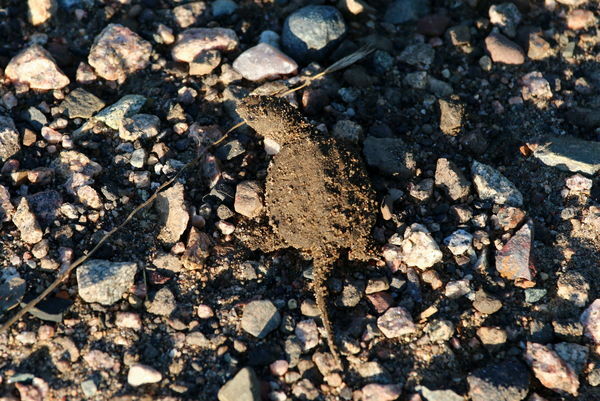 The little snapping turtle shell was about 2 inches long--not a cute critter, but i thought the scene was interesting as I'd never observed it before. Sorry for the lack of good focus on the first shot, but I thought it was more important to include in the series, than not. I've determined that the Canon 70d and & 70-200 f4L IS combination is not a good match-up. I've done AFMA on the pairing and it still refuses to give a sharp focus at minimum focus distance out to about 20 feet. All is well with the lens on my 5d3 though. The other two turtles came out earlier and had dried off. They were all about thirty feet from the stream that will become their future home. 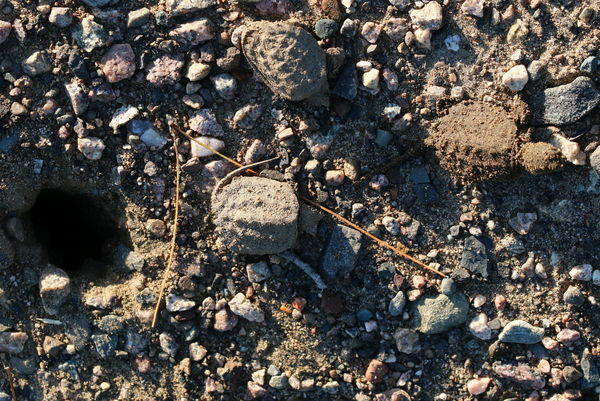 We see the mama turtles laying eggs along this road in the spring and they are a sight to behold--up to about sixteen inches in diameter. 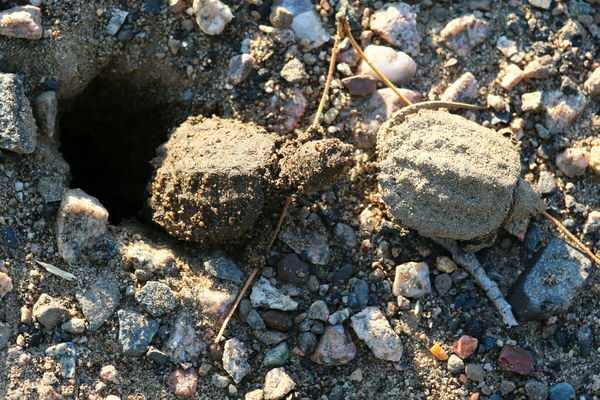 We even have a turtle trapping season here in MN after the egg-laying is over. Your C&C welcome. Such good fortune in timing!! Thanks for looking; yes, it was a bit of good fortune to see this 'first light' as it occurred. Obviously I love nature studies, and was thrilled to see this one. Thanks for looking. My wife and I try to get out every day to view some piece of nature. some days we see more than others.